Faith is found here, not in a destiny raiding and parceling out knowledge and the earth, but in a people who, person by person, believes itself. Do you accept your own gestures and symbols? Do you believe what you yourself say? When you act, do you believe what you are doing? When I came across Muriel Rukeyser’s The Life of Poetry (1949) in the mid-2000s, I felt a palpable sense of relief and kinship. Rukeyser’s text is astonishing in its compassionate, sweeping insight into society’s need for individuals who are courageous enough to follow their creative impulses. The ideas strongly resonated with me, as I was just beginning to come into a new phase of understanding how central they were to my sense of myself as a poet and a human being. The notion of “accept[ing] your own gestures and symbols” has been (and is) easy for me to forget and essential for me to remember. But the more I face it, the more comforted and sustained I am. At the same time, the more I face it, the more terrified I am. For Rukeyser, the honoring of the individual’s inner creative “call” is what allows each of us to live an honest, ethical, striving life as part of the larger community. Honoring this call is the goal. There is no end-point of “success” to be found in this creative life, and Rukeyser resists the static, compartmentalized ideas of success and winning that dominated the fields of psychology, education, and business in her time: “In art, of course, the mysticism of success and failure will not hold. The world of business is open warfare, cold iron through every throat, and the battle-shriek ‘Success!’ But in art, these terms cannot apply. One works on oneself; one writes the poem, makes the movie, paints; one is changed in the process.” I believe this, but I struggle with it. In 2006, I left a visiting assistant professorship in Wisconsin to move to my family’s home state of North Carolina, work from home, and work myself out of a depression that had descended upon me during the last years of my PhD program. I thought I would hike and get a dog, be outdoorsy. Instead, I sat on the couch in my dim living room, nursing my dying cat and reading and writing poetry. I would like to report that this was the necessary descent and wounding that led to some Jungian sense of wholeness and purpose, but as Muriel Rukeyser suggests in her poem “Then I Saw What the Calling Was,” the hero’s journey isn’t always what it’s cracked up to be. The first line of the poem places us in the realm of archetype (and, thus, dream and fairy tale): “All the voices of the wood called ‘Muriel!’” We enter the story of the poet-shaman who is drawn into the forest to find the treasure, the “inner gold.” However, Rukeyser complicates the myth when she immediately offers a surprising turn in the second line, writing, “but it was soon solved; it was nothing, it was not for me.” The reversal here draws us into the poem—we are not given a narrative of winning and success. We are not given the conclusive answer; instead, we are given a process and questions that we must immerse ourselves in. Was it really nothing? Who was it for? orchards, not for me, not for me, not for me. Do you accept your own gestures and symbols? Do you believe what you yourself say? When you act, do you believe what you are doing? 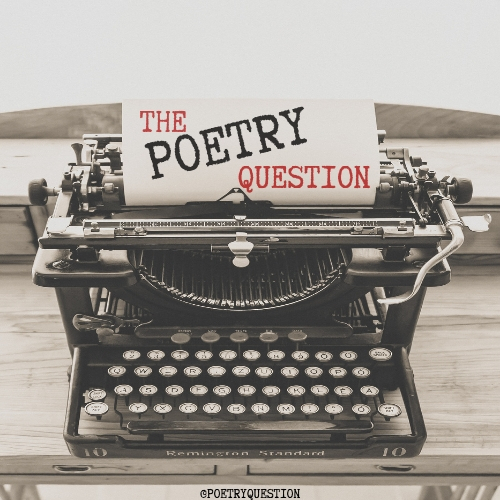 This poem enacts these questions from The Life of Poetry, creating the sense of a person who lives her life as an experiment in creative faith, allowing meaning and art to emerge by accepting her own gestures and symbols and who, in respecting that potential in every other person’s life, cannot help but be a profound example of poet as teacher. In relinquishing the narrative of power and winning, the poet finds a different, mysterious kind of power. The end of “Then I Saw What the Calling Was” reads, “Nothing was speaking to me, but I offered and all was well./ And then I arrived at the powerful green hill.” That is what I learned sitting on my couch in my dim North Carolina living room. I learn this and forget it all the time. Joanna Penn Cooper’s books are The Itinerant Girl’s Guide to Self-Hypnosis (Brooklyn Arts Press, 2014) and What Is a Domicile (Noctuary Press, 2014). 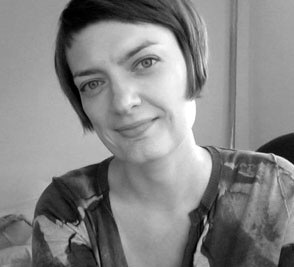 Joanna holds a Ph.D. in American literature from Temple University and an MFA in Poetry from New England College. She recently moved from Brooklyn to Durham, NC. She can be found at joannapenncooper.com.